BREAKING NEWS, POPULAR BIGG BOSS CONTESTANT TO PLAY JAI'S LOVE INTEREST! 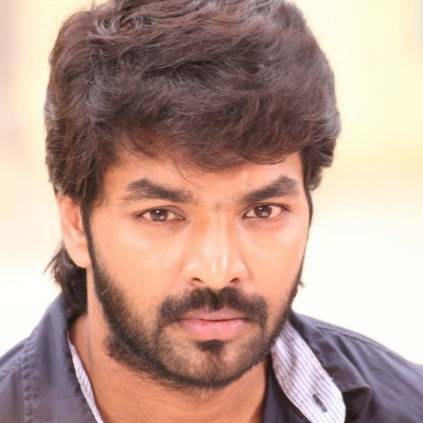 Actor Jai, who recently made his Malayalam debut with Mammootty’s ‘Madhura Raja’ is currently awaiting the release of his next movie ‘Party’, directed by Venkat Prabhu. The star is also shooting for his next film titled ‘Breaking News’, which is a fantasy movie. Here’s a super update on the movie. Actress Bhanu Sree of ‘Bigg Boss’ Telugu fame is all set to play Jai’s love in the movie. Speaking about her role, she says “My character will have lots of layers to it. Initially, I would be seen as a girl of more ebullience and hyper-spirited nature. However, I become more reserved and calm inclined to traditions with a girl next door”. Breaking News is a fantasy Action film that revolves around an ordinary man transformed into a superhero for the welfare of society, with an emotional package. It is directed by Andrew Pandian and has cinematography by Johnny Lal, while Anthony has handled the cuts. The project is bankrolled by K.Thirukadal Uthayam under the banner Raghul Films. People looking for online information on Bhanu Sree, Breaking News, Breaking News heroine, Jai will find this news story useful.